What are Dentures or Partials? Dentures/Partials have come a long way from the wooden false teeth to the beautiful, natural looking and highly functional elite dentures we have today. The shape, color/shade, contour and natural slight translucency and edge of the teeth are the main choices that will create your smile. The shade and type of “gum” area adds to the natural look. The misconception of dentures is that they are a replacement of your teeth. Actually they are a placement of teeth for missing teeth area. Since they are removable they are not actual replacing teeth, which have roots and are stable. That however can be created with an implant supported permanent denture. An implant-supported denture is a type of over-denture that is supported by and attached to implants. A regular denture only rests upon the gums, and is not supported by dental implants. An implant-supported denture is used when a person doesn’t have any teeth, but has enough bone to support 2 or more implants. An implant-supported denture has special attachments that snap onto attachments on the implants so it can snap on and off. 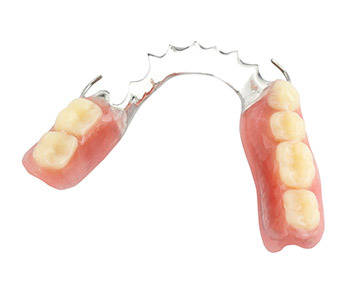 Implant-supported dentures usually are made for the lower jaw because regular dentures tend to be less stable there. Usually, a regular denture made to fit an upper jaw is quite stable on its own by the use of suction on the upper palate and doesn’t need the extra support offered by implants. 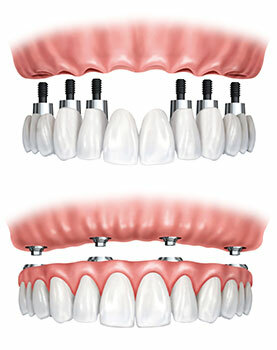 However, you can receive an implant-supported denture in both the upper and/or lower arch. You can easily remove an implant-supported denture daily to clean the denture and gum area but you have the security that your dentures shouldn’t require adhesive and won’t come out while eating or speaking. If you are unhappy with your dentures, have floating dentures, or considering getting dentures, contact us for a FREE CONSULTATION today! Which Denture is Easier to Work With? The upper denture is easier to work with and adapt to than the lower denture. The upper denture has the roof of your mouth which causes a suction and greatly helps to keep the denture in place. Whereas the lower denture (commonly referred to as the floater) does not have this suction ability since the tongue is in the way. This is why many dentists encourage saving your two strongest, longest rooted teeth on the lower (#22 & #27 “I” teeth) to attach a partial to instead of removing all teeth and placing a denture. 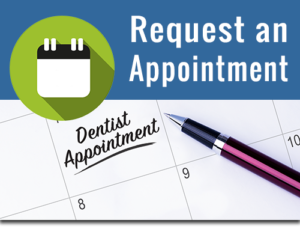 Those who have lost all of their teeth or have their remaining teeth removed have several options for tooth replacement. One of the most advanced and reliable techniques are to permanently attach lifelike prosthetic (new replacement) teeth to dental implants that are anchored in the jawbone.